The Fête des jardiniers celebrates its 25th anniversary on Saturday 2nd and Sunday 3rd of June: a gift will be given to the ladies at the entrance! 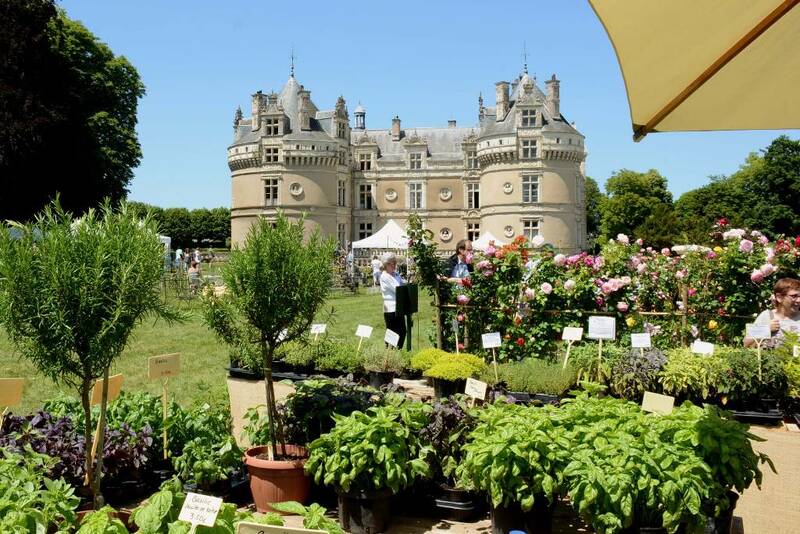 This great gardening festival gathers each year about 60 exhibitors to show to the public their productions and creation: rare plants, ancient varieties or new ones, vegetables or decorative plants, exotic or local flowers for the nurserymen. The gardening lovers can also find the essential tools, decorations and furnitures. New this year: a collection of sages, linen hats and scarfs, tools for spliting logs. Don’t miss the exhibition of birds at the kitchen garden, many gardening workshops, and actvities for children: climbing the trees, walk around the park in carriage, taste of jals in the old kitchen, drawing and painting on earthenware. And of course, be present at the awarding of the P.J. Redouté Price at 3pm on Saturday 2nd, in presence of the winner authors, who sign their books. For more informations about the Festival, consult our pages The Fête des jardiniers and The Prix P.J. Redouté.